Life in the same ol' cage. I can only get there one step at a time. I'm wondering what in the devil could it all possibly mean? I say, "Tell my what I want"
She says, "You probably want hard boiled eggs?" I say, "Alright, bring me some"
She says,"We ain't got any, you picked the wrong time to come"
Then she says, "I know you're an artist, draw a picture of me!" I don't do sketches from memory." "Well", she says, "I'm right here in front of you, or haven't you looked?" I say," all right, I know, but I don't have my drawing book!" I don't know where my pencil is at!" She says "all right now, go ahead, draw me, I'm standing right here"
And says "that don't look a thing like me!" I said, "Oh, kind miss, it most certainly does"
She says, "you must be jokin.'" I say, "I wish I was!" Then she says, "you don't read women authors, do you?" "Well", I say, "how would you know and what would it matter anyway?" "Well", she says, "you just don't seem like you do!" I said, "you're way wrong." She says, "which ones have you read then?" I say, "I read Erica Jong!" and that's (just) gonna have to be good enough for now!!! 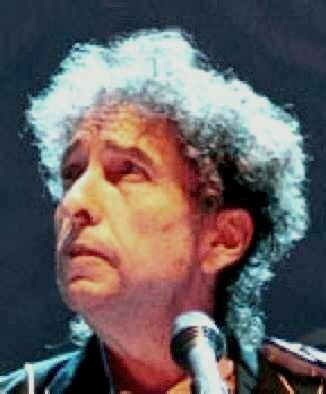 Bob Dylan is "ready to go", for he knows that "this world can't stand long". This "world full of lies", where "insanity is smashing up against" his soul, will be destroyed. Dylan however is longing for the "chariots that swing down low" to take him "over the hills and far away" to the "only place left to go", where he'll be when he gets called home. He is confident that he will "rise to worlds unknown", for his heart (the center of his being) is in the Highlands already, he even is already there in his mind, "and that's gonna have to be good enough for now". The performance of this gem in Santa Cruz has been officially released on a bonus CD to "The Best Of Bob Dylan - Vol.2", together with the performance of "BLOWING IN THE WIND" from the same show. This 18-minute-CD can easily pass as one of the finest official live albums ever. This song had been performed a) only five times, b) only inside the US, and c) not for half a year, when we rolled into Aberdeen in September 2000, where most everybody was expecting Bob to sing it, as the "Aberdeen waters" are mentioned in the first verse. But as Bob is not that predictable, it was not until Glasgow the next day, that he first performed it on a European stage. It was a wonderful performance indeed, and we sure are glad that we were honored to witness it amid other gems during that night in Scotland. 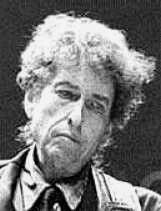 In 2001 Bob Dylan performed "HIGHLANDS" twice in Australia (in the same setlist as either "RING THEM BELLS" or "I AM THE MAN THOMAS"); and once it was performed in the US (one night before he pulled out "IN THE GARDEN"). "HIGHLANDS" did not appear on stage since 2001. Our citizenship is in heaven, and from it we await a Savior, the Lord Jesus Christ, who will transform our lowly body to be like his glorious body, by the power that enables him even to subject all things to himself.